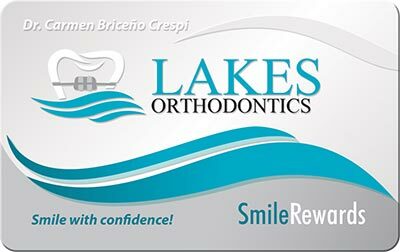 Lakes Orthodontics your Miami Braces Specialist! Need braces? Whether you are a child, teen, or an adult Lakes Orthodontics can help you achieve a beautiful smile that radiates positivity and confidence. We are family owned and operated and we take great pride in working with our patients and community and helping them to “Smile with Confidence”! As a true orthodontics specialist, we are proud to offer a wide selection of appliances for orthodontics and cost options. Because every case is different, at Lakes Orthodontics we don’t believe in the one price fits all approach many Miami Orthodontist seem to prescribe to. Here are some of the most common appliances used at our practice. Please contact us for a free no-obligation consultation to determine what are the best options for your particular case! Because every case is different, at Lakes Orthodontics we don’t believe in the one price fits all approach many Miami Orthodontics seem to prescribe to. Here are some of the most common appliances used at our practice. Please contact us for a free no-obligation consultation to determine what are the best options for your particular case! Metal Braces: traditional form of braces which when used in combination with archwires allows the teeth to be aligned by your orthodontist. Ceramic Braces: a more modern clear version of braces that is used in place of traditional metal brackets. Brackets are less noticeable but still have all the function of metal braces. Colorful Braces: a fun way for patients to express themselves by choosing colorful attachments to their braces. Essix Retainer: a removable clear retainer designed to hold or “retain” the position of teeth. Hawley Retainer: a removable acrylic retainer with a metal labial bow designed to hold teeth in place. Permanent Retainer: a fixed retainer designed to hold teeth in place by placing the appliance behind the teeth in a bonded fixed position. Thumb Habit Appliance (THA): an appliance that is placed in the roof of the mouth to help the patient to break the habit of sucking their thumb. Herbst Appliance: a fixed appliance that is used to enhance the growth of the lower jaw in a forward direction, while at the same time applying pressure to the upper jaw in a backwards direction. Rapid Palatal Expander (RPE): a fixed appliance placed on either the top or bottom of the mouth in order to help “expand” the width of the arch. Invisalign: a clear form of aligning teeth that uses successive sets of aligners to move teeth gradually to position. Invisalign Express: a very short form of Invisalign designed for minor orthodontic changes. Invisalign Teen: a version of Invisalign designed for teens that has color indicators on the aligners to help the parents keep track of aligner usage.